Please check out examples of my work here at the Evolve Video Solutions website and contact me to discuss any project large or small. Thank you! 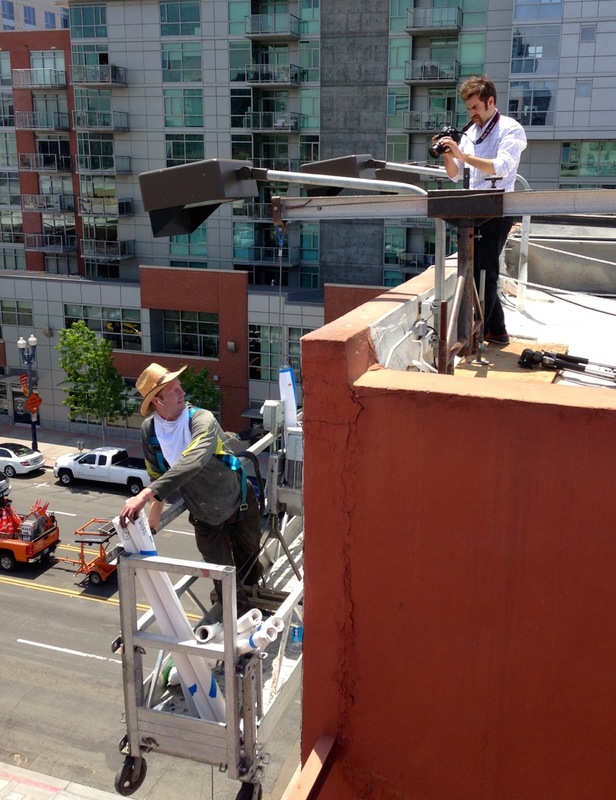 Here I am at work on a project where I captured the four-day process of painting a giant mural in San Diego. I created a two-minute video that combines time-lapse imagery of the five-story wall being painted with close ups of the artists at work. Please visit the Videography page to see this video and other examples of my work.